The expected US arrival of the copies of Kings of Israel is December 8th. After it reaches the port in New York they will ship to Amazon’s warehouse in Tennessee and then the games will go out soon after. Kings of Israel on its way to the port! Kings of Israel is on its way to port in China! In addition, Kings of Israel is going to be translated and distributed in French! Finally of note, the Kings of Israel video game is quite playable at this point with some bugs to squish and a few more things to be completed. The soundtrack is sounding great and more illustrations are being done to add character to the kings. Bid to be in the Kings of Israel video game! Every year there is an auction run to raise money for the Jack Vasel Memorial Fund on the Boardgamegeek website. The purpose of this not-for-profit fund is to raise money for gamers in their time of need. Last year I put up a beta copy of Kings of Israel along with a Kickstarter copy and $300 was raised by a generous bidder. I hope to raise something like that again this year. So for this year you can bid to appear in the Kings of Israel video game! If you are the winner of the auction you will appear as a king in the victory/defeat screen at the end of the game. If you the player wins you will be a king celebrating the victory, if the player loses you will be weeping and in chains. Additionally, the winner will receive three copies of the video game when it is released. Or just check out the auction and see if something else catches your eye! 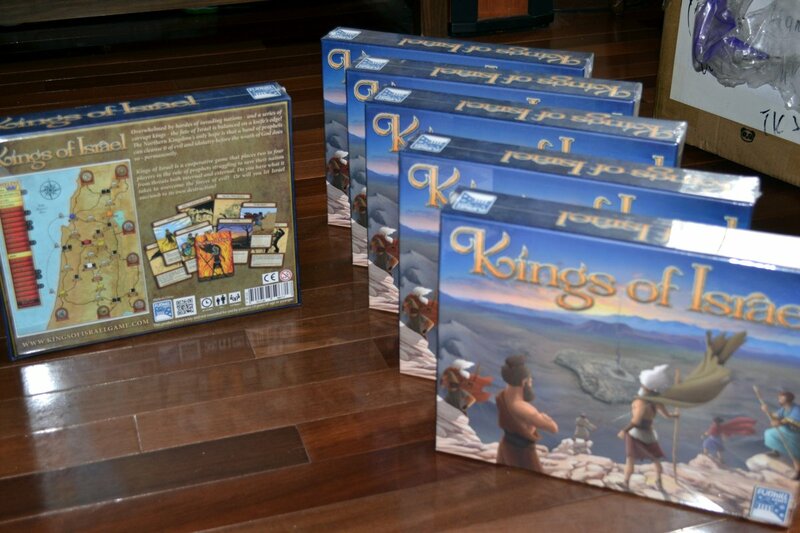 News in from Panda Games: There were 120 overage copies printed of the Kickstarter edition of Kings of Israel. Tell everyone who might be interested to place an order now before they are gone! There was a mistake made by the manufacturer in one of the components found in the Kickstarter version of Kings of Israel. They are going to correct it but it looks like shipping out of China is moved back to the end of the month around October 30th. Unfortunately, I believe that means that any international supporters of Kings of Israel will not receive their copies by Christmas. I will do everything I can to get those games out fast once I receive them, but I apologize for missing that date. Once again, thank you everyone for your support! I also went over all the components in the Kickstarter and regular version of Kings of Israel looking for issues. The regular version looks fine, I did not catch any issues, but the Kickstarter version was missing the purple crown timeline token which seemed to have been replaced with a second thief token that is purple. This odd purple dagger-holding token I will now refer to as “King Stabby”. King Stabby was not found in the physical proof so something seemed to have happened on the manufacturing side. 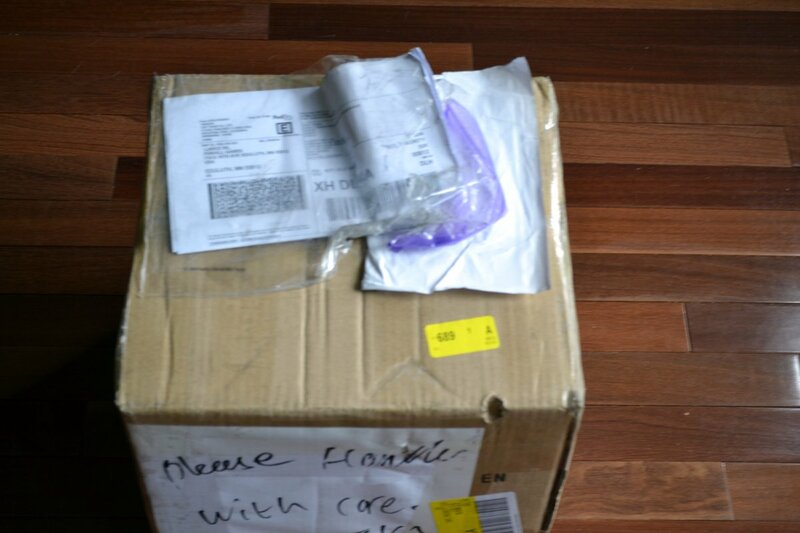 I contacted Panda Games on Friday and they were looking into it over the weekend. I will keep everyone updated when I hear more news! I just posted the 5-6 player rules to Kings of Israel on the Funhill Games website. These rules are included in the Kickstarter copies of Kings of Israel but I wanted them to be available to anyone that might get a copy of the game. Check them out! 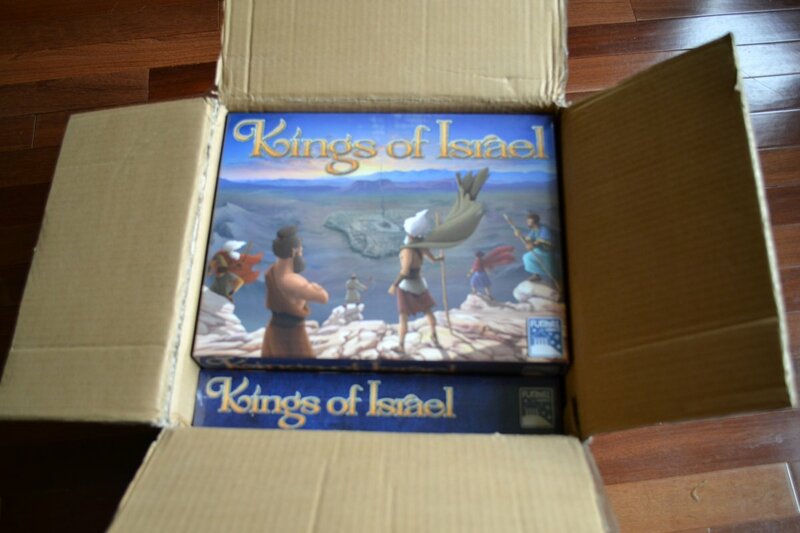 Early copies of Kings of Israel are in! Six English copies of Kings of Israel on their way! The first six copies of Kings of Israel, one Kickstarter version and five regular versions, are being airmailed to me today! After I review both versions I should be able to give Panda Games the go ahead to assemble all the other copies. Once that is official, then four of those copies will go out to a few different board game reviewers. The final extra copy I have will go out to a photographer to take high quality shots of the game. 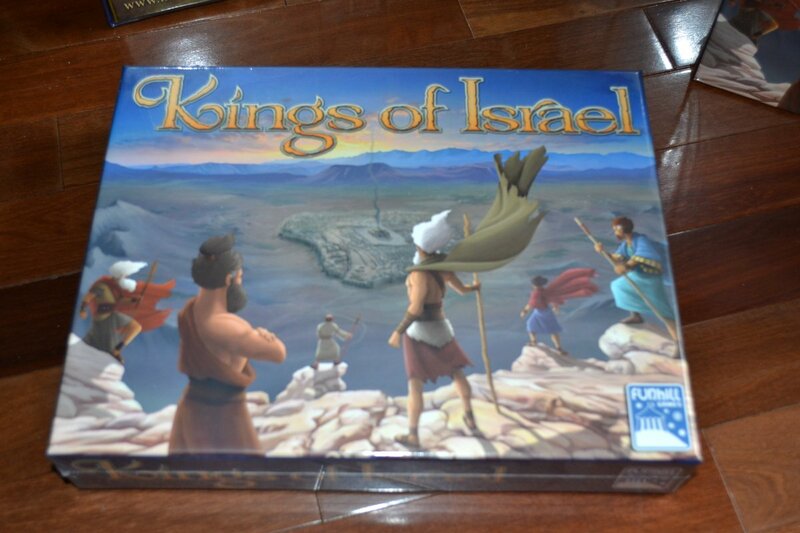 In addition, I plan on filming an unboxing video of the Kickstarter version of Kings of Israel! Keep your eyes open for that and the many pictures I will take. Kings of Israel Shipping Update! Early copies of Kings of Israel – Hebrew Edition shipped out today, in time to be previewed at an Israel game convention! The first copies of the English regular and Kickstarter editions of Kings of Israel will ship out to me on October 8th. The copies just missed making it out before the Chinese holiday. I should receive an update soon on when the pallets of games will be shipped to the US. I should also find out if there were printer overages for each edition, Panda thought there would be. If so, more Kickstarter copies might be officially available to preorder again!